Weston College recognise the need to continually promote literacy within all our education departments, particularly in light of the often low levels of reading ability that we encounter in prisons. 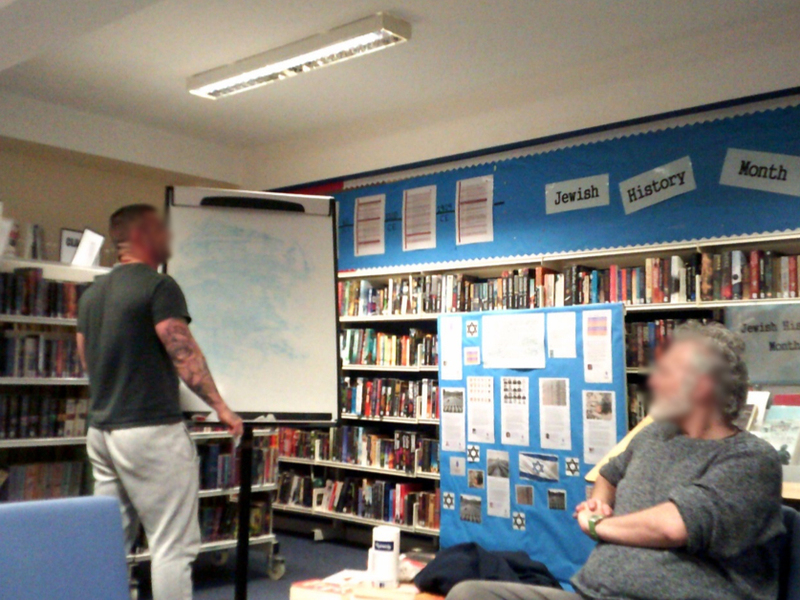 At HMP Guys Marsh the team continue to lead the way under the stewardship of ACM Isabella Franco, promoting the literacy opportunities for prisoners through the Library and Learning Resource Centre. Celebrating “World Book Night” on Monday 23rd April the team went above and beyond to create a special occasion for learner with a late-night opening of the LLRC giving all prisoners access to some great activities. A number of challenges took place such as a book scavenger hunt, Scrabble competitions and literature Pictionary. The aim of the evening was to promote literacy and to introduce learners to the library and its facilities in an informal and entertaining way. Learners were encouraged to take back the success of the event to their peers on the wings and to come forward with ideas for future events. The feedback from participants was great and continues to provide inspiration for us to develop this work further. “I think the world book night was a very beneficial event. There was lots of information available about books, words, poetry etc. I heard many men saying they had forgotten they were prisoners for a while”. There are many more events always happening, including a celebration of Jewish culture for Jewish History Month.